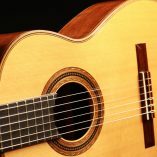 View cart “Armin Hanika – Grand Concert” has been added to your cart. 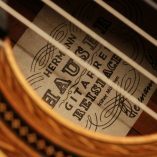 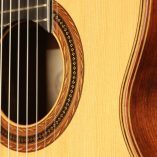 From 1974 on Hermann Hauser III and his father built guitars independently in the same workshop. 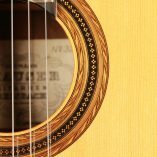 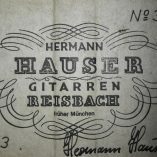 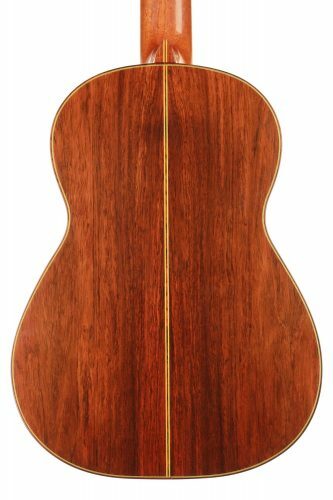 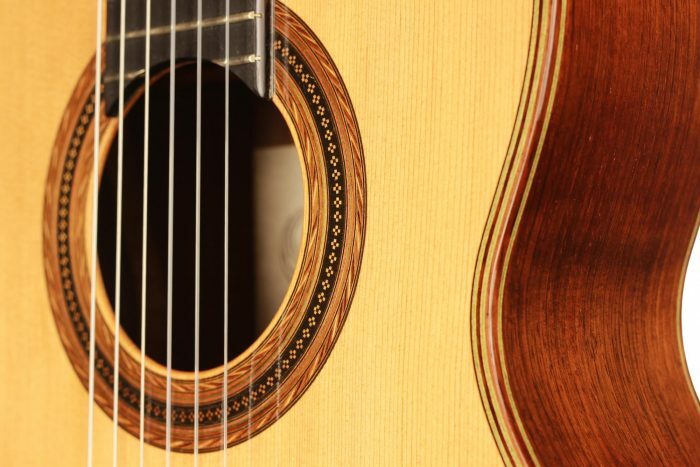 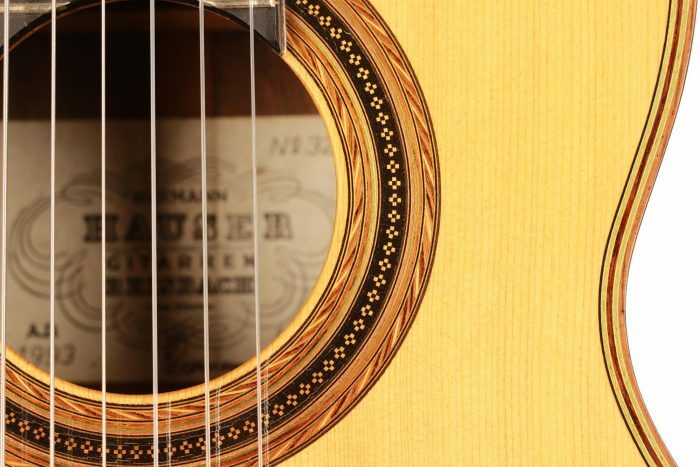 Hermann Hauser III provided his guitars with his own numbering and signature. 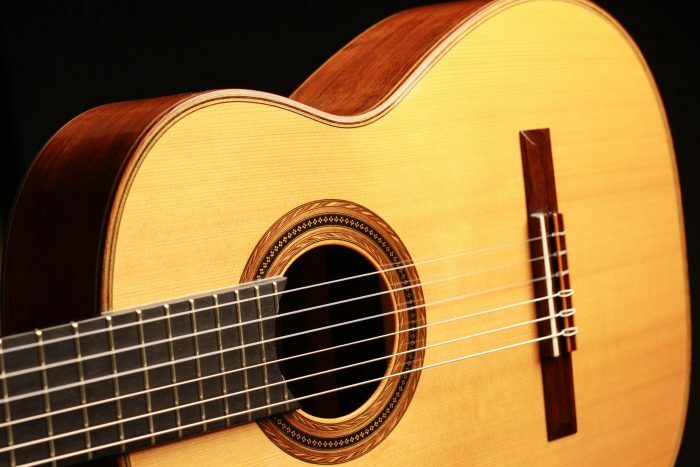 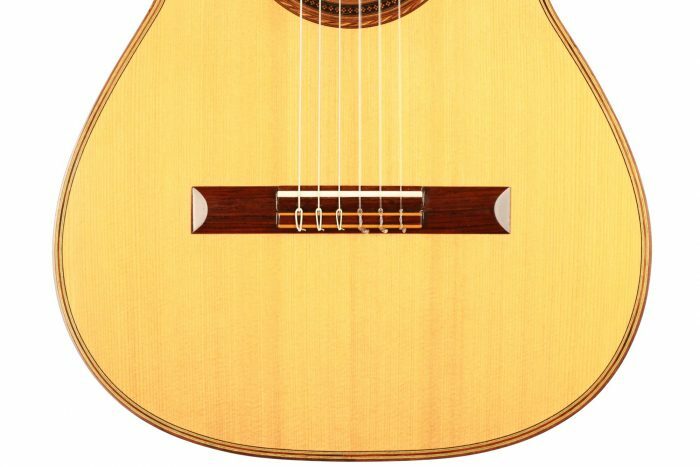 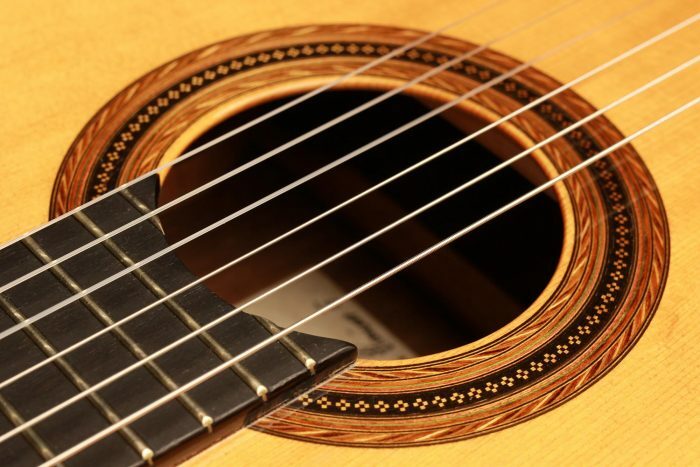 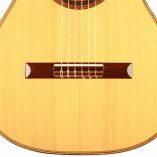 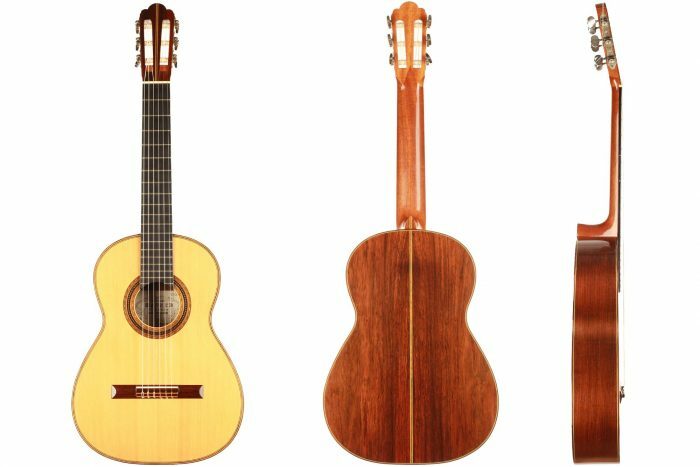 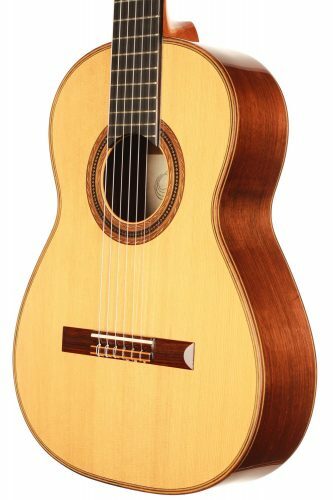 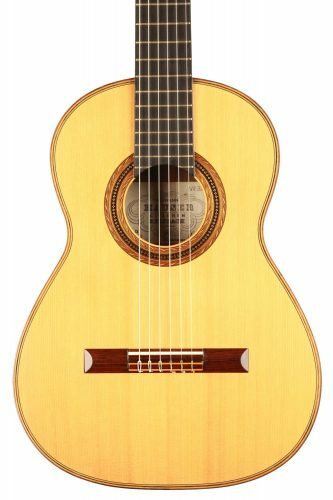 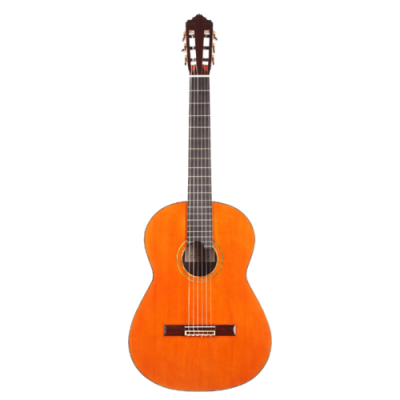 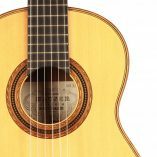 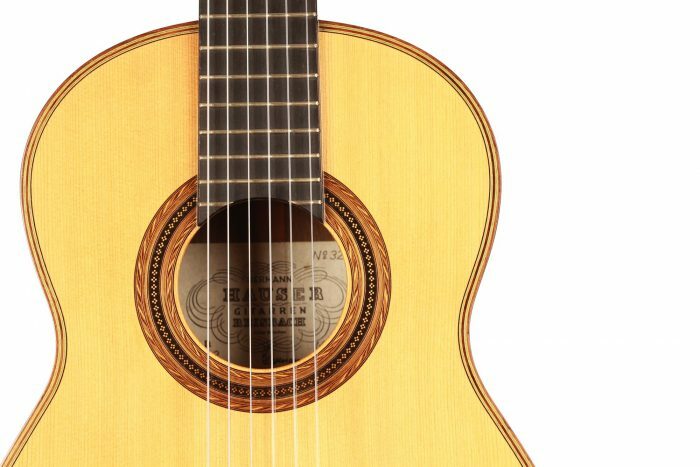 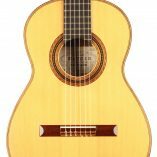 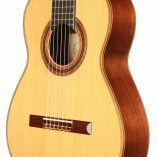 Andres Segovia attested to the incredibly beautiful sound of the master’s guitars, and Pepe Romero calls his Hauser the “purest sounding classical guitar”. 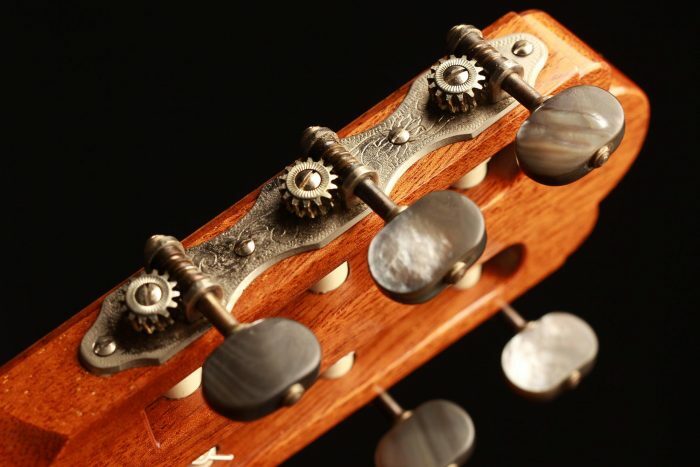 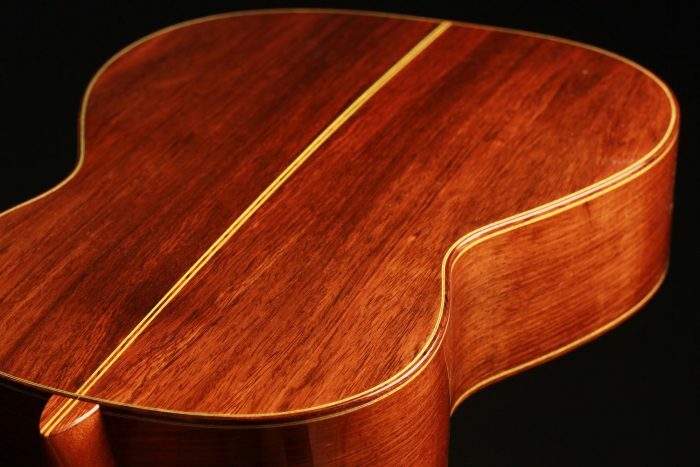 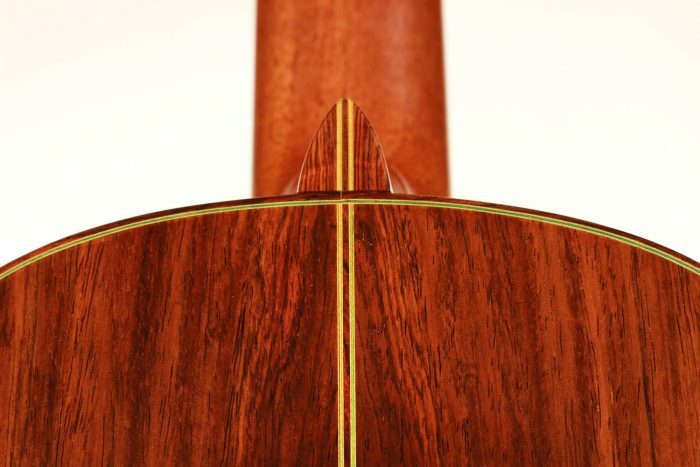 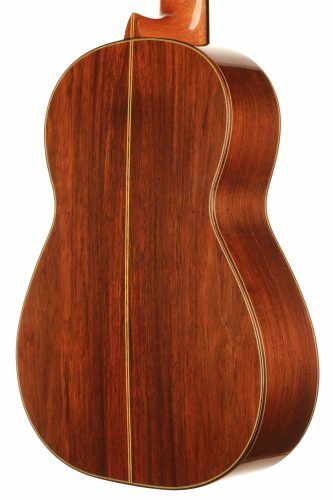 The secret of the Hauser III guitar sound is not solely found in the artisanal workmanship. 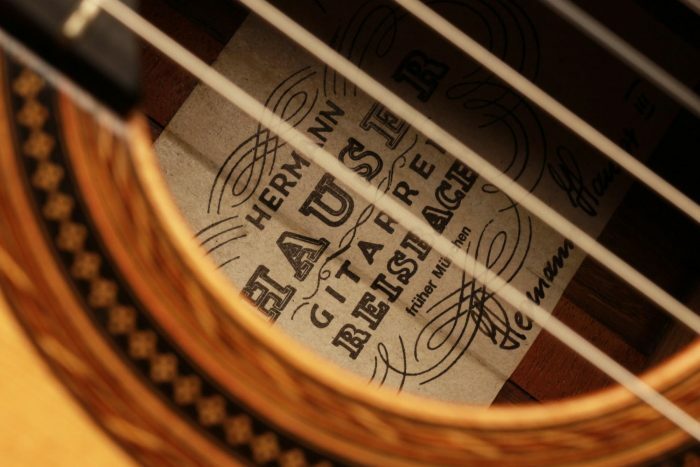 Hermann Hauser III, like his ancestors, maintains a close and friendly relationship to his guitar players. 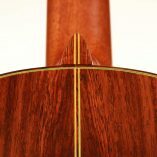 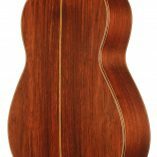 He analyses the needs and demands of every single artist before constructing neck profiles and fingerboards and adjusting the string action. 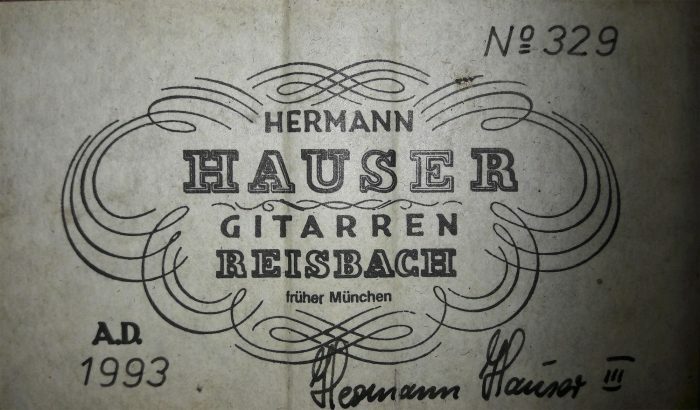 Furthermore, Hermann Hauser III attended to intensive studies of historical instruments, especially the ones made by his ancestors. 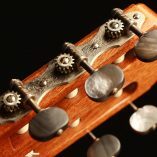 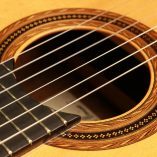 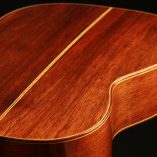 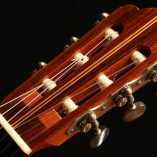 He received the highest awards by professional associations and the greatest approval of the international guitar scene. 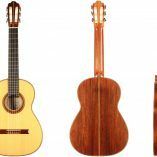 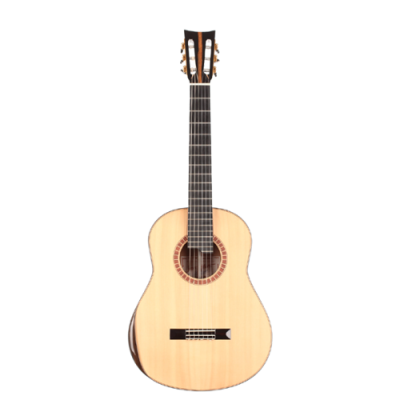 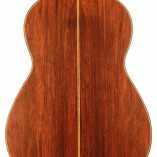 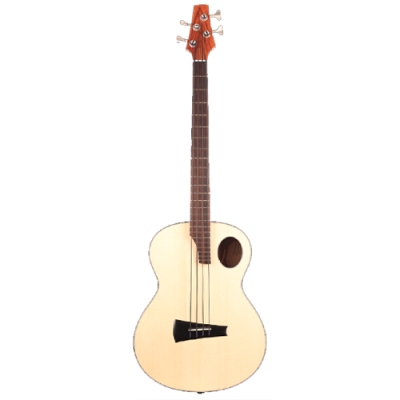 This tierce instrument built by Hermann Hauser III in 1993 develops the same sound qualities as its full-size equivalent, adding a very responsive and brilliant character to its already incomparably rich timbre. 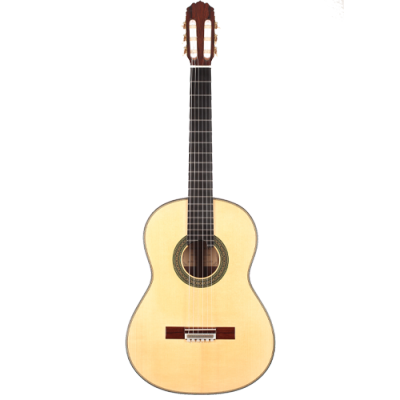 The possibilities of tonal colours that this instrument allows are simply outstanding and the playability is perfect. 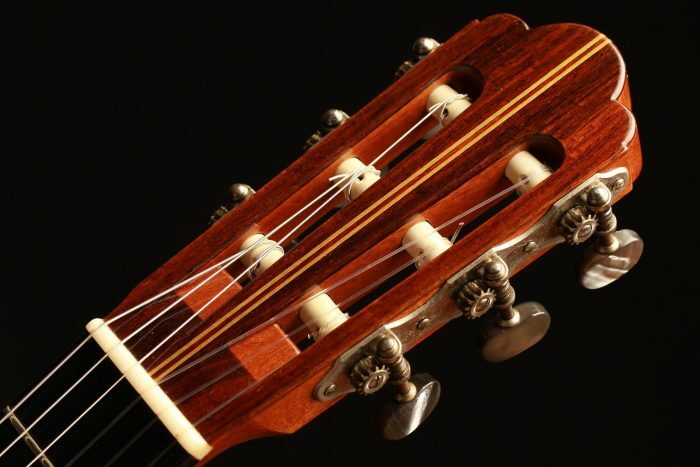 It is a unique instrument with an astonishing sound-character.